Leslie Ritter, PhD, Director of the Stroke Resource Center of Southern Arizona (SRCSA) will speak at the upcoming Life After Stroke & Brain Injury event on Saturday, May 20, 2017 at Tucson Medical Center Senior Services. Dr. Ritter’s talk, Community Resources on Your Path to Recovery will higlight SRCSA and other community services. Life After Stroke & Brain Injury is scheduled for Saturday, May 20, 2017 from 8:00 AM to 12:30 PM. Tucson Medical Center Senior Services is located at 1400 N. Wilmot. Registration is required. Please call (520) 324-4345 or email seniorservices@tmcaz.com for more information. Are you at risk for a stroke? Join TMC and HealthSouth Rehabilitation Institute of Tucson for the annual free Stroke Prevention Saturday, April 15, 7 a.m. to noon at TMC Marshall Conference Center. A physician will review your results with you. The screening is recommended for those 50 years and older. For best results, an eight-hour fast is recommended. In addition, to learning about their risk for stroke, participants will also receive information on recognizing the signs of a stroke and how to control risk facts and the signs of a stroke. No appointment necessary. Please allow 45 minutes for screening. Light snacks will be available. Get Back in the Swing of Life with “Saving Strokes” and morning golf program for stroke survivors and caregivers. The Saving Strokes Program is a relaxing, fun event that gives survivors and caregivers a chance to get back on the greens, get outdoors, meet other survivors and caregivers and just have fun!None of your own equipment (or skill!) is required; walkers and wheelchairs are welcome. The event includes golf instruction, a heart healthy luncheon featuring a speaker. Cost: The event is FREE but RSVPs are required. Save the Date for Stroke Prevention Saturday! Register for Stroke Camp 2017! Save the date for Stroke Camp 2017! Save the Date for the Stroke Retreat! Look for additional/registration information soon! There will be a benefit concert for the Stroke Resource Center of Southern Arizona on Nov 5, 12 noon-2pm at the Shoppes at La Posada, 665 S. Park Center Ave, Green Valley, AZ. The concert features The Dust Devils, a popular Tucson band playing traditional bluegrass and newgrass music. The concert is free. There will be a raffle, live auction, food and drinks. Fabulous harmonies, toe tapping and sing-alongs are guaranteed to bring a smile to all! Donations will be accepted at the concert and will help the Stroke Resource Center of Southern Arizona support the June 2-4, 2017 Retreat for stroke survivors and volunteers, the stroke resource website, education seminars for the community, stroke support groups, and our future physical meeting place! Concert generously supported by the Gordon Foundation and La Posada. *The Stroke Resource Center is a registered 501c(3). Please make checks payable to Stroke Resource Center of Southern Arizona. REGISTRATION IS OPEN! Click to complete the registration form on the Stroke Camp website. Scroll to select the May 20-22 session at the Redemptorist Center in Tucson. As a result of the generous support from The Gordon Foundation, the Stroke Resource Center of Southern Arizona has partnered with Refresh and Retreat Stroke Camp to provide the first ever 3-day weekend stroke camp retreat in Tucson for stroke survivors and caregivers. The mission of Refresh and Retreat Stroke Camp is to “improve the quality of life for stroke survivors, caregivers, and their families.” The retreat features various activities such as games, education sessions, discussion groups, hiking/walking, entertainment, and more! The three day weekend retreats are designed specifically for stroke survivors, caregivers, and their family members and adaptations are made to the best of our ability so that everyone can participate. Survivors are encouraged to attend with a caregiver. If survivors will be coming alone, they need to be able to perform all activities of daily living with minimal assistance. Volunteers are available to provide a helping hand, but will not provide skilled nursing. Registration for the general public begins on April 7th. Space is limited to 20 survivors and 20 caregivers. Click to register. Questions? Call the Stroke Camp at (309) 688-5450. General information for the camp can be found at http://www.strokecamp.org/. Please thank our camp sponsors! Feb. 6th is Go Red Day! 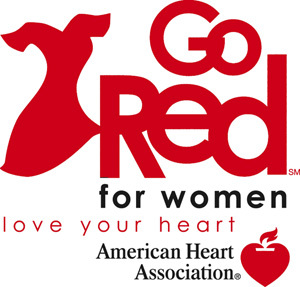 National Wear Red Day is Friday, February 6, 2015, but heart disease and stroke kills 1 in 3 women every year. That’s why we want to say thank you for helping raise awareness no matter what time of the year. Join the University of Arizona Sarver Heart Center for an interactive day of heart-healthy information, screenings and activities. Start the day with a health fair, including free screenings for blood pressure, glucose, breathing assessment and medication consults with UA College of Pharmacy students. Browse heart-health information tables. Try tai chi and laughter yoga. Learn about the latest heart health updates from University of Arizona Sarver Heart Center experts.